2P START! Live! 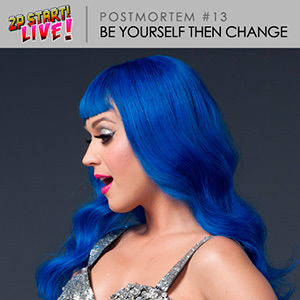 : Be Yourself Then Change | 2P START! Ray and Tim talk Avengers, Battleship, Sonic 4 Episode 2, Pre-E3 thoughts, Katy Perry’s movie, Weddings, purity rings, a small surprise guest, and much more! Downloading now! It’s been so long ;_; Looking forward! Yay! It’s a Memorial Day miracle! OMG Lilly is soooooo cute! Glad I still check regularly for a podcast! Four months later it paid off! I feel like people are so quick to declare the death of things. Within in a month of the launch of the 3DS, people were declaring the system a flop, and now it’s one of their fastest-selling consoles. The same thing is happening with the Vita. Since the internet is on the rise, people are declaring the death of physical media, which is completely freaking ridiculous. When iPhone games became more and more popular, people started declaring the death of dedicated consoles. Last year, Nintendo lost money. But they started in 1889, and this the first year they had a net loss. Somehow, they stay afloat. I’ll second the notion that Avengers was awesome. I’ve been pretty obsessed with all things Marvel for about a year and was not disappointed. Also, saw MIB3 this weekend and (aside from minor plot holes) I liked it. And Ray, you’re going to have to get your creative juices flowing and make some more Pixel Vision videos. I’ve got a little one on the way and one video is not going to be enough entertainment for me — I mean, her. Nice to hear from you guys again! Especially with something that’s a little more uplifting than the depression episode. Though I still don’t quite get the sentiment that the iPhone is supposed to be killing the 3DS. I just consider smartphones to be to handhelds what PCs are to consoles. Similar, but also very different. The two can co-exist fine. I think that, mostly, the iPhone just took away Nintendo’s casual market. And that the other issues Nintendo is facing is their own fault, not a result of competing with Apple. Yeah, pretty much this. PCs were supposed to kill consoles years ago, and they still exist fine, so I don’t see why smartphones should be any different when there are a number of parallels, especially since the regular DS still sold bajillions and didn’t seem to be affected too much by smartphones. But I also agree that Nintendo is causing its own problems. I don’t think basing their entire handheld on 3D was the best move, since I don’t think that’s really what the market wanted, it’s more what Nintendo wanted the market to want. Hence the downplaying of the 3D in advertisements now. Their other mistake that has been repeated over and over is their lack of first party support (and 3rd parties aren’t helping the case much). As much as you should play Kid Icarus Uprising, Ray, it’s not worth buying the system for that game alone, and even a year plus after launch there still aren’t really enough games that I can say “Buy it for Uprising and there should be plenty of other games you can pick up as well.” With the DS, that’s not a problem, because there are craptons of great games for it. Granted, the DS does have a number of years under its belt, but if things don’t pick up soon I don’t think the 3DS will be able to match that legacy. The other issue is the Wii U. Maybe it’s just me, but I really don’t have much excitement for it, and I’m someone that only owns Nintendo consoles and a PC. Maybe E3 announcements will change that, but the controller just doesn’t grab me as something amazing and revolutionary, it just looks awkward. Especially if the multiplayer is going to be crippled because of technological limitations, I’m not sure it’s going to be that amazing. It’ll all come down to the games, obviously, but I just find it hard to imagine playing a Smash Bros. game on that controller and enjoying it as much as on a GameCube controller. Ah, that was fun! Good to hear you guys in higher spirits and Lily is simply adorable. On a more personal note, feels kinda weird that the podcast that was one of the biggest inspirations in creating my own ends an episode with the same remix that we closed an episode with awhile back. (http://bit.ly/Kze6jm) Great minds think alike! Oh man, A new 2P Start Live! I can’t believe all the memories I have of this site…And to think that I’m now about to become a Sophomore in college. Glad to hear all is well, and I’m currently listening to the episode now. I’m glad you guys still have 2P Start in mind, and a surprise podcast is always welcome. I’m totally not getting teary-eyed at the nostalgia here…oh who am I kidding? Thanks for everything guys, I can’t wait for the next surprise. Nice Surprise. Didn’t think this would still get updated, but nice to hear from you guys. Great podcast. I think Tim busted a gut laughing at your antics Ray. These podcasts may seem a little bit like beating a dead horse at times, but for the few fans who still miss you guys and visit the site from time to time, they are like unexpected treats. Thanks for throwing us a bone every now and then, it means the world. No pressure or anything, but I can’t wait to hear what you guys have to say about E3, and you seemed to hint that you’d be doing a podcast on the subject. Can we expect one… eventually?